It won't be your cup of tea, unless you like coffee, then you might have something to work with. 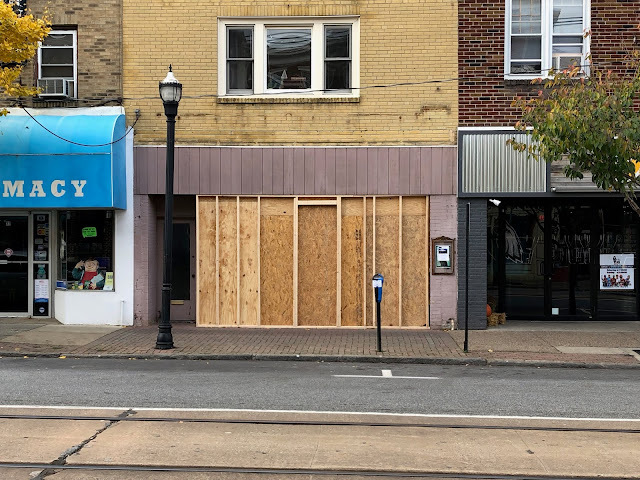 Renovations are underway to bring what's expected to be an Ocean City Coffee Company, coffee shop. LOVE Ocean City Coffee Company!!!! We have actually driven to OC just to get some coffee from them...freshly roasted Maple Vermont!!!! Yeah!!! OCCC just sent out an email with their President's day special, and added they will be opening soon in Media! Over the Moon! I too used to travel to O.C. to enjoy the coffee along the boardwalk. So glad this is in Delco as a Delco native, I won't have to travel far! Yayyyy 😁 OC comes to us! I smell it now.